The Pioneer Total Abstinence Association (Pioneers) is calling on budding writers to shine in its short story competition to mark its 120th Anniversary. “The Pioneers are 120 years old on the 28th December this year (2018) and the celebrations will run from then until the same date next year 2019. So the short story competition is the first thing to mark that,” Roisin Fulham, assistant editor, the Pioneer magazine, told Catholicireland.net. Entrants are invited to submit a short story of approximately 1000 words for publication in a future issue of the Pioneer magazine. The winner and two runners up will have their stories published and receive cash prizes of €100 and €75 respectively. The theme of the story should appeal to the readership of the Pioneer magazine. “It should be appropriate for a family magazine. We are looking for a nice, simple story that would appeal to a lot of people,” said Roisin Fulham. Closing date for submissions is 18 January 2019, but the entries have already started arriving. This is a welcome return to a popular feature in the Pioneer magazine from more than a decade ago. In the ‘noughties’ there were short story competitions but they fell away. “We often said we must do them again and now we are marking the 120 years,” said Roisin Fulham. 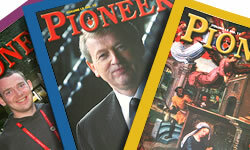 The Pioneeer magazine itself has been running since 1948 and readership continues to hold its own. The current editor, Fr Bernard McGuckian SJ, is expected to retire from editing the magazine at the end of this year, at which point a new editor will be recruited. The magazine features articles on spirituality, personalities, a crossword and games, and much more. Past issues have included stories on the beatification ceremony for Father John Sullivan; the history of the two Skellig Islands (one of which is a Christian heritage site); the story of the recently canonised French saint Elizabeth of the Trinity; an interview with Charles Searson SJ, National Director of the Pioneer Association in Zambia and Malawi; and the secret code of the number seven. Over the next 12 months of the 120th Anniversary celebrations, the Pioneer association will hold its national ball in Thurles in April and a pilgrimage to Knock in July. Other anniversary events will be announced during 2019. 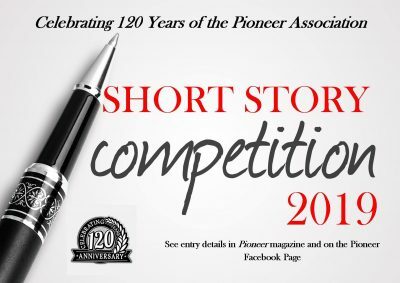 Each short story entry should be accompanied by an entrance fee of €5/£4 stg /$US10 and posted to Pioneer Short Story Competition 2019, Top Floor, 27–28 Marino Mart, Fairview, Dublin 3, Ireland. Further details are available in the Pioneer magazine and the association’s Facebook page.